2. 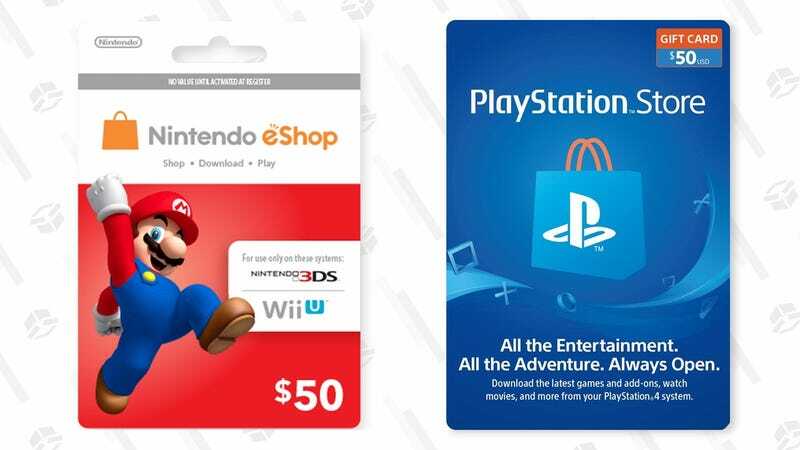 Click on the PlayStation Store or Nintendo eShop gift card in the gift card directory. 3. Select the $50 card. 4. Use promo code iluvgames to get $6 off.